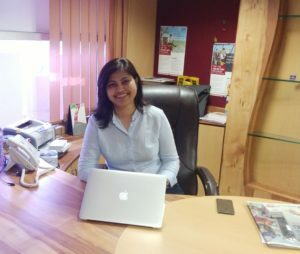 Online education has succeeded in eliminating barriers and borders, giving everyone the opportunity to have access to education anytime anywhere, writes Dr Sarika Lidoria, Director, ITM University Online for Elets News Network (ENN). The Internet revolution has shortened the distances from one corner of the globe to another. Time and space have shrunk to an extent that erstwhile could have been captured only in fantasy tales. If to the people of antiquity, the flying carpet of Aladdin was a thing of awe and wonderment, to the modern users of cutting edge AI technology, it is but mundane and humdrum. If the stories of mythic figures with extraordinary powers of speed and endurance could keep people of olden times gaping with surprise and incredulity, the modern man, with the entire universe literally on his ‘palm-top’, yawns at them as if to ask, ‘what’s new’! What can be more magical than for students to enter the classroom by simply reaching into their pockets, going online from their smart devices, opening E-learning Apps and signing in? If you have a pocket, you have the wisdom of the world with you at all times and at all places. M-learning is but one among a plethora of tools made available by technology to educate students in the non-traditional, online medium. What fuels this gigantic engine that Online Education has become? The life-blood of this vast body is the advancement in networking technology that the IT boom of the mid-90s inaugurated. What bridges the gap of thousands of miles in distance, and thousands of years in time, is the Internet. It is this that helps you make it to your classroom at the other end of the world, or to the Palaeolithic age, in a matter of seconds. 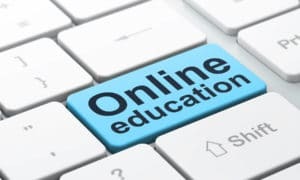 An assortment of developments in Internet technology has helped shape the accelerated growth of the Online Education sector. Cloud computing, for example, has facilitated convenient sharing and transfer of large files across the world. Software applications like Learning Management System (LMS) have helped boost student-institute interaction. Telecommunication programs enabling audio and video calling like Skype and Adobe Connect, have all contributed in making computer-based learning a reality. This has augmented both the scope and desirability of Online Distance Education globally. With the rise in awareness of the need for education among all the sections of society, there arises a demand and supply problem. The lacunae in the traditional methods of education have thrown open the gates of the Online Education market. Here the requirements of infrastructure and the need for a large work-force get obviated. Students and faculty do not need to step out of the comfort of their homes or their self-ascribed time-schedules to be part of an enriching learning experience. E-education in India is catering to the needs of working professionals and students. 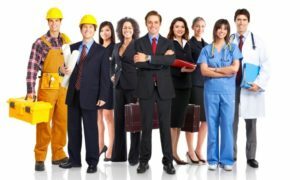 The prospects of promotion and job-climbs looming overhead is making professionals throng towards the Online channels of learning. Ancillary learning channels, courseware developers, and degree-based online educators like ITM Group of Institutions have done the utmost in supplying this enormous demand for E-learning that makes up around 12% of the student-force of India. It is not the educational institutes alone that have before them a swelling market, but producers and vendors of smart devices like notebooks, palmtops, tablets, screen casters, interactive boards and projectors too are reaping the harvest of a prodigiously fecund market. Institutions across the country are now forced to swim with the current, by the introduction of flipped classrooms, a blended learning channel, where the core teaching is carried out through audio-visual media while the teacher engages mainly in personal interaction with the pupils. The use of 3D videos and Virtual Reality simulation in special areas of learning is also slowly being normalized. 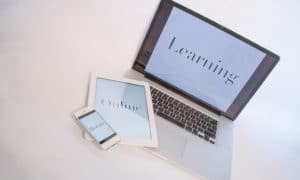 Moreover, students with a technology-powered learning experience are likely to fare better at the workplace and to be, in general, more adapted to the future course that our technically driven world is bound to take. It is not given us to peer into the mysteries of the future, but from the wake left by the ship the course ahead of us can to an extent be presaged. The rudiments of AI technology can already be perceived in the education sector with the introduction of automated evaluation, case-by-case student feedback systems, adaptive learning tools, and intelligent tutoring systems (ITS). Q&A tools designed to answer student queries through machine representation and information retrieval technology, interactive language learning applications, math learning tools that provide instructions in accordance with the student’s learning curve, are some of the ground-breaking AI projects afoot, ready to usher in the next revolutionary change in Online Education. The word ‘omnibus’ in Latin, literally, means ‘for all’. And this aptly characterizes the nature of the expansion of online education throughout the globe, and in India. For it benefits one and all; anyone with any stake in it, from students, teachers, educational institutes, to vendors and developers of IT products and services, stands to gain from this tectonic shift that is shaking the world of education from within, and which is bound to take it toward that horizon of technological magic, as unbelievable and incredible to us as Aladdin’s magic lamp or flying carpet was to our forefathers.